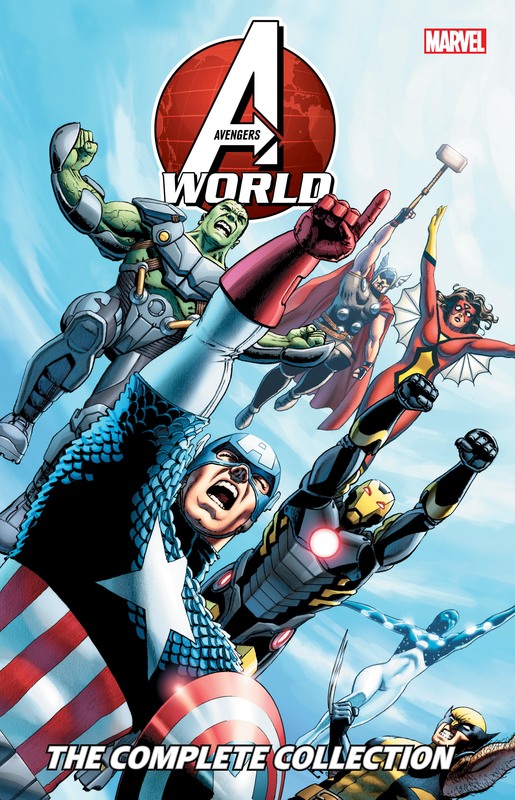 Collects Avengers World #1-21, Avengers (2012) #34.1-34.2 and material from All-New Marvel Now! Point One. 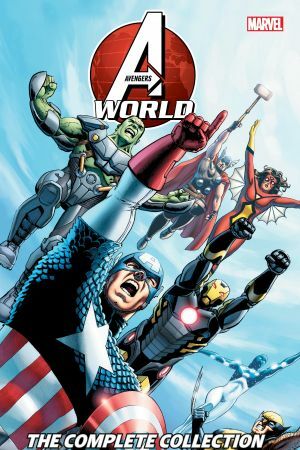 It’s an Avengers World — we’re just living in it! 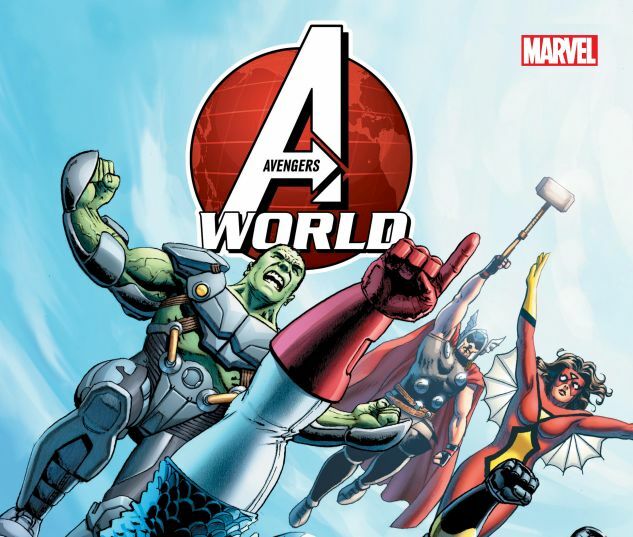 As new threats emerge, Earth’s Mightiest Heroes will be tested like never before. In one cataclysmic day, the face of the world changes forever and the fight for the future begins! Smasher, Sunspot and Cannonball find themselves prisoners of A.I.M.’s Scientist Supreme! Shang-Chi takes on the Gorgon in a fight to the death for control of the Hand! The City of the Dead rises! Starbrand must confront the ghosts of his past — and Manifold must discover his true destiny! Plus: Morgan Le Fay! Euroforce! The A.I.M. Empire! An Avengers team recruited by…Doctor Doom? And as time runs out, the Cabal rises and the events leading to the final incursion are finally revealed!